Introducing a hand-made lettering, inspired by cute fat cat character- Sleepy Fat Cat with cyrillic typeface ( cyrillic version made by vk.com/cyr_fonts). File format: .ai, .eps, .ttf, .otf for Photoshop or other software. 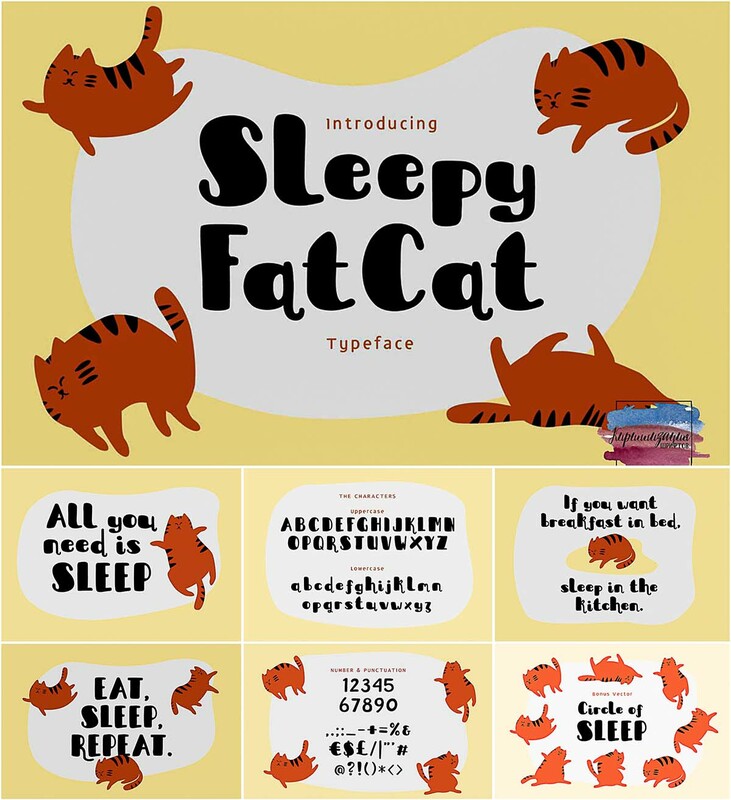 Tags: bold, cat, comic, cute, cyrillic font, doodle, fun, typeface.